FileWay may be used to access your home directory using a MAC, whether on-campus or off-campus. Firefox is the preferred browser when accessing your home directory using a MAC and FileWay. Most MAC users seem to find other storage media more useful than their home directory due to the space limitations. USB drives and portable hard drives are frequently used. 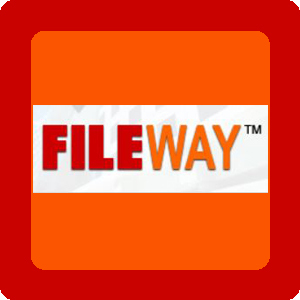 You can access your home directory using a MAC using FileWay. Keep your personal information secure. Be sure to remember to log out completely of any applications, including your home directory, especially when using a MAC on-campus. Save your work early and often, and backup your files. Save to your network H drive or Home Directory, a USB drive, and/or email a copy to yourself. Do Not save to the hard drive or desktop of a campus computer. Your work will not be saved.